Before beginning to edit your book, you need to take a step back. Finish writing and then have some time without looking at it so that it feels fresh when you read it. Come back to it as a reader from your target market, not an author. Try to be as critical as possible. Then you can begin your edit. There are 3 types of edit – structural, line and then copy and proofread, make sure you know the difference. 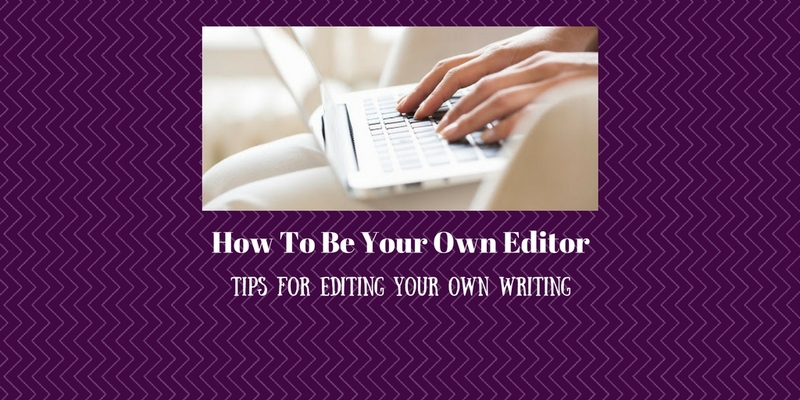 You need to go through these 3 types of edits for you to be your own editor. This is about the broad plot run of your book: characterisation, dialogue, pace, themes and flow. Does one section lead seamlessly into the other? Does the plot make complete sense? Have you got a good beginning, climax and ending? Do you feel like all questions have been answered that you want answered when reading? More detailed than a structure edit. Can you see any plot-holes or any information that perhaps doesn’t need to be there? Have you fully explained everything that needs explaining without rambling on too much? Is the language paired-back? This means that you can honestly say that every word on the page has a reason to be there and adds something to the story. This is more simple. Check the grammar, spelling, sentence length, paragraph length etc. Do the chapters end in the right places? What pulled emotion from you? Are you gripped / surprised / satisfied? Were there parts of the story you included in order to draw an emotion from your reader that didn’t draw that emotion from you? Perhaps these sections need a second look. Do all the characters deserve to be there? Typically, each character in a story represents a certain role and no two roles are the same. Really analyse your characters and if you think that there are some characters who are doing the same job, is it possible to have the story without one of them? Or is there a way to kill them off? Read aloud… you will stumble on the parts that don’t work or haven’t been written properly. Even better than this, give the story to someone from your target market and get their feedback on it! But make sure it’s someone you can trust to be honest with you. A second pair of eyes in invaluable. Create a pros and cons list. What works well and what perhaps needs changing? Use this to make another draft of your book before giving it to someone more professional to do the final edits.